We've been traveling the Philippines since August 2015 ~ when Yñigo was 4 months old! With the number of places we've been to, it's hard to keep track of everything. I've always wanted to buy a canvas with the Philippine Map on it so we can pin our travels. Some people suggested that I get a scratch map; but as much as I wanted one, I didn't know where to hang it nor even have the time to get it framed. But last year, around November, my mentor-slash-boss Janice Villanueva gifted me with this Pin My Travels Philippine Map Edition from Daydream Republic! Woaaaaah my heart filled with joy when I got this. TY so much!!! I've been following Daydream Republic's journey from a few years ago. I always wanted one but wasn't able to buy because I didn't think I'd be able to pin a lot of destinations, and I was still figuring out where in our [little] room we can put up the canvas. I've bought some of their paper products before, such as their Bucket List Notebooks to give as gifts! Let me talk about Daydream Republic more! 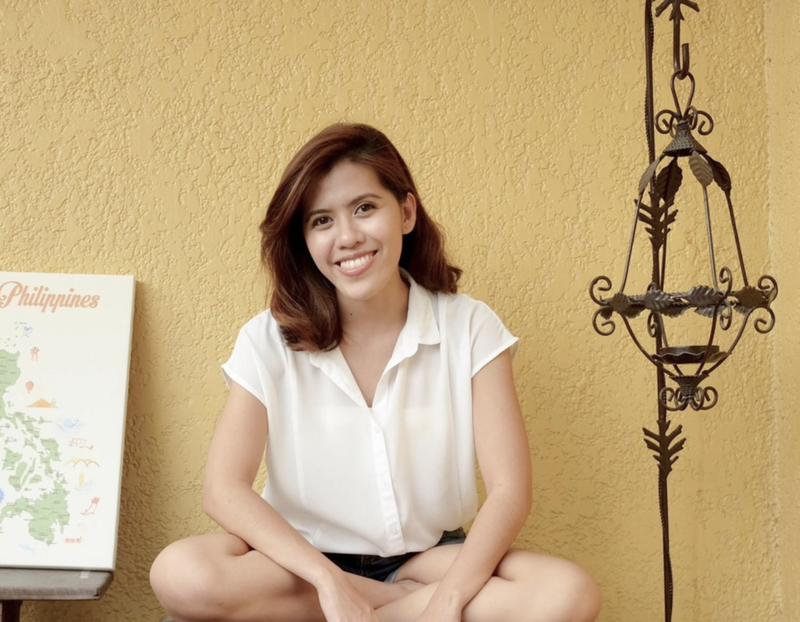 Sasa Bacani established Daydream Republic as a side hustle a few years back when she was still a brand manager. She wanted to fulfill a mission that marries service and passion. Her love for home design and travel is something she got from her parents ~ having raised in a house filled with cultural pieces from trips they've done growing up. In fact, planning travels was a normal conversation at the dinner table. She had parents that fully supported her dreams, encouraged creativity and pursuing something that comes from the heart. Daydream Republic's dream is to be known as a home and travel brand that will help turn anyone's bucket list a reality. I believe that's something they've done. It's these things that my boys and I love doing ~ setting up something with a lot of sentimental value, and doing it all together. We really set aside an afternoon to unbox the Pin My Travels map and place the pins together. Of course, before doing anything, we were going through the different places illustrated in the map ~ which also served as lesson time for the little boy! Yñigo's first ever out of town trip was Tagaytay and Batangas when he was 4 months old. He was so cute and this was the time he felt sand for the first time. One of the scariest trips we had apart from the one in Nueva Ecija, was the one in Claveria, Cagayan where we had to go through 3 flooded areas. Bobby's favorite trip was one of our short trips to Zambales when we felt our dream come to life ~ being able to watercolor by the beach, lounge beside a river, then eating hotsilog in the morning with some coffee, while overlooking the beach. I mean, that was really what we wanted our everyday to be. When brought Yñigo to Sagada ~ a place that Bobby & I have made a tradition of visiting every two years because we find the place so magical and peaceful. We can't forget the Paoay Sand Dunes experience we had in Ilocos Norte after a rainy stay in Pagudpud. Riding a 4x4 and seeing the most beautiful sunset we've seen in our lives. Gosh. That's basically it. Daydream Republic's heart is really all about being a part of everyone's journey to take over the world, one place at a time ~ and providing memorabilia, works of art that can serve as inspiration to reach those dreams... or to be a reminder of what has been accomplished. I'd like to take this time to say that we're really excited to fill up our map with pins! The little boy loved helping us set it up. It's currently displayed in our room ~ to keep the dream and drive alive in us.